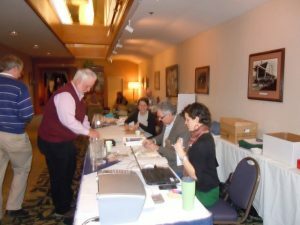 Would you like to get involved at the 2019 Alaska AFS Annual Meeting? Volunteering is a great way to network and learn more about AFS. In addition, volunteering is a perfect opportunity to give back to AFS. Deepen your involvement, make great connections, and learn what it takes to put on a successful meeting! We need volunteers to help with registration, audio/visual, signage, and continuing education. Please consider being a volunteer today!